A progressive web app is a website which acts like an app. People go to a website and here’s the great bit, you do not have to go to an app store to install. Users come to your website and are given the option to install the PWA. And when they do, an icon will live alongside the regular apps on your phone. This means that users can return to your app without having to visit the site again. PWAs are quite new, but major companies are taking advantage of this technology. Case in point are Twitter who are one of the first major companies to the PWA game and are a good example of a PWA winning. Twitter Lite takes up less than a megabyte, saves up to 70% on data, and loads 30% faster. When you first boot up Twitter Lite it takes under five seconds to load over 3G networks (on most devices), and subsequent loads are almost instant, even on not as reliable networks. Why bother with Progressive Web Apps? No Net Required. PWAs can function without internet, so there is no need to reload the page every time like a website. Web dependent tasks can be queued and batched when you do have internet connectivity, but the PWA itself will operate fine until then, unlike a traditional web page. Responsive. PWAs feel like a normal app, they respond fast to input, smooth scrolling etc. Don’t Give Your Money To Apple. PWAs allow you to completely avoid the App store. Which means that you don’t have to give apple 20% of your revenue for the privilege of running on an iDevice. Faster. Not just a little faster, a lot faster. Just like Twitter did with ‘Twitter Lite’, (and with the right programmers) you can have a PWA that is smaller, runs/loads faster and saves on data, which in a mobile driven world, wins. Easier For Users. People no longer have to surf through the App/Play stores to find your App (or competing apps that have gone with similar names). They go directly to your website, cut out the middleman and get your app without hassle. 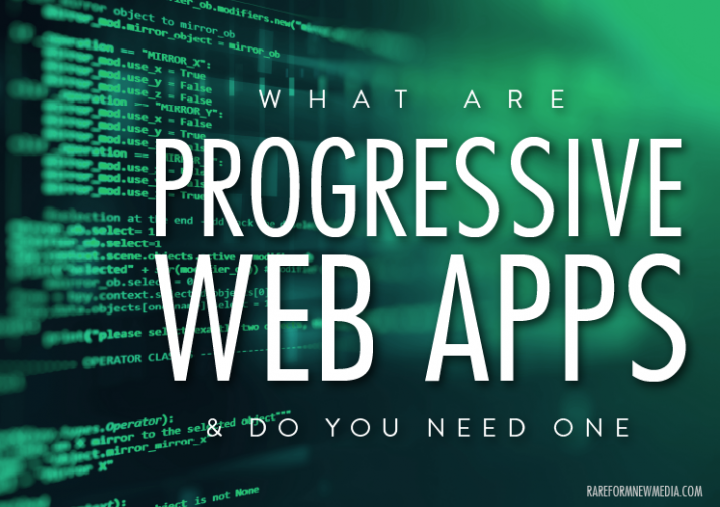 How to get a Progressive Web App? You will need higher level programmers, not just WordPress or web design coders, to make a proper progressive web app. Google ‘web developer’ plus your area, and ask if they have any experience in making progressive web apps , and ask to see examples. If they don’t have any, that means they haven’t made any. Find someone with experience, and references. 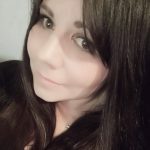 Originally from Michigan, Jean is the founder and CEO of Rare Form, a full service marketing & web design agency in Oxford, England. She studied journalism, marketing/advertising at university, and taught herself design along the way. Jean also works as a consultant to brands around the world, including a few Fortune 50's. She owns other companies outside of Rare Form. Hijack, an extension and app is coming to your browser soon (and a couple of others that just may take over the world). When not in the office, she is a reader of many books, movie buff, makes the best steak in the UK, and has a mild video game addiction .